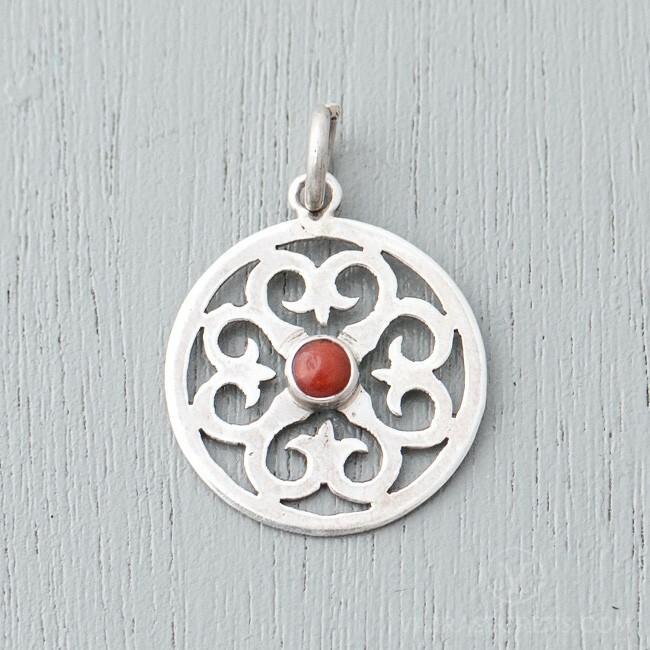 Handcrafted by master Himalayan silversmiths, this sterling silver pendant is inspired by the delicate but resilient lotus and features a single red coral stone at the centre. The lotus represents strength in the midst of adversity, making this a perfect gift for anyone who is undergoing life’s challenges or major change. The lotus represents strength in the midst of adversity. In Vajrayana Buddhism, the lotus also symbolises great compassion, spiritual growth, and the ability to overcome obstacles on the path to Enlightenment. Inspired by the delicate but resilient lotus, this pretty eight-petalled lotus pendant features a single red coral stone in the centre. Handcrafted by skilled Himalayan artisans from 925 sterling silver, it is perfect for anyone who wants to make a spiritual fashion statement. It also serves as a gentle reminder to walk the Dharma path well so that we too can eventually achieve the pure Buddha mind.